She leaves a little sparkle wherever she goes. From her beautiful smile to that infectious laugh, she adds a touch of sparkle to everyone’s lives. 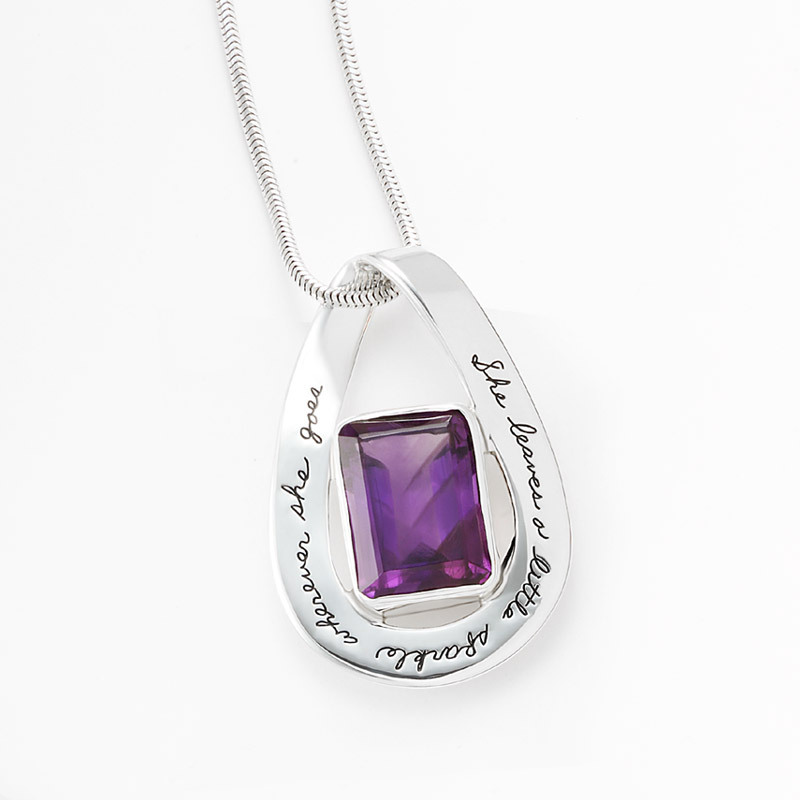 Show her how much you appreciate her with this stunning hand-crafted necklace. We engrave and polish each one individually so it’s as special as she is. The ancients believed amethyst was a “gem of fire” with vibrations that helped bring out inner strength, calm the spirit, and promote healing.